Guides – All our leaders share a passion for human culture and history, and for the wildlife with which we have interacted for time immemorial – all essential to providing a well-run, safe and enjoyable anthropological tour. Office Team – Our staff that ensure everything runs smoothly! Sister Companies – Have you seen our sister companies and the tours they offer? Links to Friends – Links to other websites. We travel to experience traditional cultures, the world’s archaeological sites, experience primates and other nature and to track the human story…Welcome to Tau Anthropological Safaris! We would like to introduce you to our exciting new travel initiative! Conceptualised by Adam Riley and Lee Gutteridge, Tau has been created in response to a demand for life-changing and intelligent travel experiences. Our goal is to weave together four fascinating fields, all being passions of our team, to design a unique and memorable travel adventure and a trip of a lifetime. 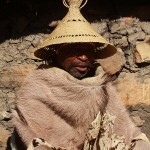 On our journeys we intend to explore some of the most exciting and rarely accessed aspects of modern and historical anthropology, with tours to remote and little known places including northern South Africa’s Makabeng plateau, viewing prehistoric rock art painted on sandstone walls – in all that now remains of an ancient fossilised desert. Imagine if you will, spending time in Ethiopia’s Lower Omo Valley, visiting and interacting with the sometimes hostile, plate-lipped Mursi tribeswomen, seeing and spending time in their villages, admiring the traditional dress and rituals of the Hamar and adhering for a time to their ancient cultures and way of life! One of Africa’s safest and most stable countries, Botswana is known to have some of the most spectacular wildlife and pristine wildernesses in the world. Famous sites include the teeming Moremi Game Reserve and Chobe National Park, the spectacular Kalahari Desert and the unique Okavango Delta boasting thirteen thousands kilometers of waterways and recently declared an UNESCO World Heritage Site. Whether your interests are safaris, photography, birding, quad biking, or off-road adventures, you are sure to have an unforgettable journey in Botswana. Situated within the Great Rift Valley and believed to be the cradle of humankind, Ethiopia is a melting pot of Eastern, Western and African cultures, matured into a fabulous mixture of races, religions, tribes and languages. 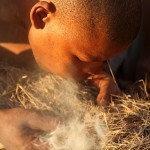 Our scheduled Ethiopia wildlife safari takes us across an extraordinary range of sights and scenes. 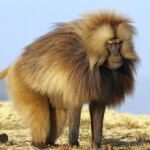 On this tour we explore the high altitude Bale Mountains, home of the critically endangered Ethiopian Wolf; dry Awash National Park, a mecca for game and bird watching; Rift Valley lakes teeming with waterbirds; and then conclude our tour with a spectacular trek through the lofty heights of the Simien Mountains, where we will no doubt be enthralled with intimate encounters with its large troops of Gelada Baboons. Graced by snow-capped volcanoes, vast plains of rolling grasslands teeming with game, and endless tracts of bird rich Acacia woodland, East Africa is the quintessential African wildlife safari destination. There are few, if any, wilderness regions on Earth that can hope to offer such a staggering diversity of mammals, while the region also boasts some of the most beautiful birds on the planet!We currently offer two scheduled departures to the region. On our scheduled Kenya and Tanzania Mega Mammal Safari we visit some of the best game sanctuaries of these two incredible countries, presenting a variety of habitats that range from the game-filled Amboseli to the dry Samburu region and Lake Nakuru, which literally glows pink from millions of flamingos. We also explore the scenically spectacular Ngorongoro Crater brimming with wildlife, and the endless plains of the Serengeti in Tanzania. Ravaged by a terrible genocide, Rwanda has managed to lift itself out of the doldrums and is, once again, world famous as one of the best places on earth to view and photograph the critically endangered Mountain Gorilla. Adding to this is the fact that, within its small territorial limits over 650 bird species have been recorded, offering a wealth of avian possibilities in our short, but rewarding, extension to this little-explored land. Our adventure visits the country’s core photographic region: the bamboo-clad slopes of the Virunga Volcanoes in Volcanoes National Park, where we will spend time photographing one of the most iconic mammals on our planet. Photographing, and spending time with mystical Mountain Gorillas is undoubtedly a once-in-a-lifetime experience! Contact Details – Head Office contact details, admin contact details and meet the team! Is based in Pietermaritzburg, South Africa, and is highly proficient in orchestrating the complex arrangements that efficient and organized traveling requires. Questions are gladly answered in a friendly and comprehensive manner, and you will find that booking with us is nothing but a pleasure. We do our utmost to ensure that all your requirements and requests are met; whether before, during or after your tour with us. 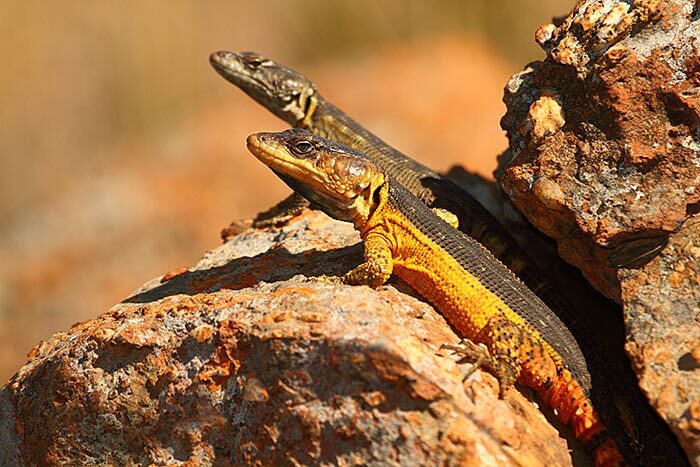 These lizards are part of an interesting family, with many species. They are known as Crag lizards, and are found in a very small part of the South Africa Plateau, just South of Johannesburg. The more brightly coloured male will posture and position himself to attract the drab female for breeding purposes.